The Conoe Daikanyama is a recently completed building in front of Daikanyama Station. Current average asking prices in this building are around 2,270,000 Yen/sqm, with a penthouse listed for 3,300,000 Yen/sqm. There have been 3 reported re-sales in this building to date, with this apartment being the highest reported re-sale on a price-per-square-meter basis. Located in Residence D – the 18-storey serviced apartment building in the Roppongi Hills complex. When the building was completed in 2003, apartments in Residence D were selling for around 1,500,000 Yen/sqm. This particular sale represents a recent drop in price in this building. In 2015, average prices in Residence D were around 2,450,000 Yen/sqm. A 36-storey high rise in the Azabu Juban area with concierge, gym, guest suite and resident lounge. Current asking prices in this building range from 1,510,000 ~ 2,700,000 Yen/sqm. Apartments on the 10th floor and lower have an average asking price of around 1,620,000 Yen/sqm, while apartments on floors 20 and above have an average asking price of around 2,170,000 Yen/sqm (approx. 34% more than lower floors). The average sale price to date in 2016 is around 1,895,000 Yen/sqm, up 3.1% from 2015 (1,838,000 Yen/sqm), and up 26.3% from 2014 (1,500,000 Yen/sqm). This unit was a relatively small 2-Bedroom apartment on a mid floor with views of Tokyo Tower. It sold for 9.2% more than an identical apartment on a lower floor sold for in early 2015, and 80.6% more than an identical apartment on a lower floor sold for in early 2013. Located next-door to Park Court Azabu Juban The Tower. Current asking prices in this building range from 1,600,000 ~ 2,270,000 Yen/sqm. Apartments on the 10th floor and lower have an average asking price of around 1,670,000 Yen/sqm, while apartments on floors 20 and above have an average asking price of around 1,920,000 Yen/sqm. The average sale price to date in 2016 is around 1,760,000 Yen/sqm, down 5.6% from 2015 (1,865,000 Yen/sqm), but up 14.2% from 2014 (1,541,000 Yen/sqm). This apartment was on a mid floor with views of Tokyo Tower. It sold for approximately 51% more than an identical apartment on a higher floor sold for in late 2011. A 28-storey high-rise located on the western side of Meguro Station. The average sale price in 2016 has been 1,840,000 Yen/sqm, representing a 9.5% increase from 2015 (1,681,000 Yen/sqm), and a 20.4% increase from 2014 (1,528,000 Yen/sqm). This particular apartment sold for approximately 47% more than a similar apartment sold for in 2012 when the market was at a bottom. Despite having 202 apartments in the building, there were just 3 units listed for sale at the time of this article. They have an average asking price of around 1,900,000 Yen/sqm. Two 47-storey apartment towers containing 1,000 units. The building overlooks Hamarikyu Park and is a short walk to both Shiodome and Shimbashi Stations. Facilities include party room, sky lounge, gym, guest rooms and front desk. This was a corner unit on a high floor overlooking the park. In 2006, the apartment above this unit sold for 2,320,000 Yen/sqm, indicating that prices are still below their previous peak in the last mini-bubble. To give an idea of how park views influence pricing, another large unit on a higher floor without park views sold for 1,300,000 Yen/sqm in July 2016. The average sale price in 2016 has been around 1,350,000 Yen/sqm, down 0.7% from 2015 (1,360,000 Yen/sqm), but up 11.6% from 2014 (1,210,000 Yen/sqm). There were 36 apartments listed for sale in this building as of early October 2016. A high-end, low-rise complex between Daikanyama and Shibuya Stations. When new, the average sale price was around 1,370,000 Yen/sqm. The average sale price in 2016 has been around 1,750,000 Yen/sqm, down 6.9% from 2015 (1,880,000 Yen/sqm). The current asking price in this building is around 1,840,000 Yen/sqm. Located in Harajuku, Bliss Beige was originally developed by New City Corporation as a high-end rental-only building. It was later taken over by Orix Corporation and half of the units were sold off. Includes a gym, 20 meter pool, concierge, and party room. The most expensive sale in this building was a maisonette penthouse listed back in 2010 for 1.6 billion Yen. This apartment sold for approximately 6.5% more than an identical apartment on a higher floor sold for in mid-2014. The average re-sale price in this building in 2016 is around 1,865,000 Yen/sqm. Meanwhile, the average asking price for available units ranges from 1,520,000 ~ 2,000,000 Yen/sqm. A 23-storey luxury high-rise located near Aoyama Cemetery. The average asking price in this building is currently around 1,740,000 Yen/sqm. This apartment sold for approximately 23.6% more than an identical apartment upstairs is currently listed for. The unit upstairs is occupied by a tenant and is only suitable for investors, thereby limiting the potential market of buyers. In 2007, sale prices peaked at an average of 2,030,000 Yen/sqm. Sale prices in 2016 have averaged 1,750,000 Yen/sqm. A 5-storey apartment building in the wealthy Motoazabu area. Apartments had an average price of around 1,383,000 Yen/sqm when sales began in 2011. This apartment sold for approximately 9% less than another apartment on the same floor sold for three month’s ago. The average resale price in 2016 has been around 1,675,000 Yen/sqm, up 15.5% from 2015 (1,450,000 Yen/sqm) and up 31.4% from 2014 (1,275,000 Yen/sqm). A 14-storey apartment building in Chiyoda’s ‘Bancho’ area just west of the Imperial Palace. This neighbourhood is home to some of the highest valued residential land in Japan. This has been the highest reported resale in this building to date on a price-per-square-meter basis. It sold for approximately 11% more than what it previously traded for just two years ago. The average sale price in this building in 2016 has been around 1,430,000 Yen/sqm. Current asking prices in this building are around 1,800,000 Yen/sqm. A luxury low-rise building located near Arisugawa Park. This ground-floor unit sold in a very short amount of time and at full ask. In 2013, a similar unit on the same floor was listed for 1,215,000 Yen/sqm, indicating an appreciation of around 30% over the past three years. Located in Minami Aoyama 7 Chome, which is between Hiroo and Omotesando Stations. This apartment was only listed for a short amount of time and sold at full ask. This has been the highest reported resale in this building to date on a price-per-square-meter basis. It sold for 49% more than a smaller apartment on a lower floor sold for three month’s ago. Over the past 15 years, apartment prices in this building have averaged around 800,000 ~ 1,000,000 Yen/sqm. When new in 2001, apartments sold for around 800,000 Yen/sqm. When sales began in 2013, apartments had an average price of 1,200,000 Yen/sqm. The average resale price in 2016 has been 1,425,000 Yen/sqm, down 10.7% from 2015 (1,595,000 Yen/sqm), and down 14.7% from 2014 (1,670,000 Yen/sqm). 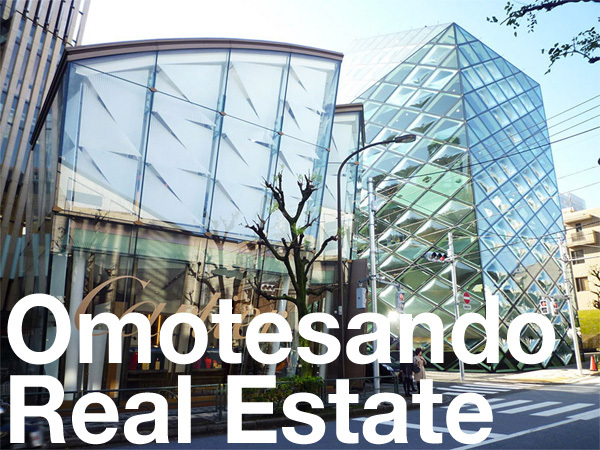 This particular sale has been the second lowest reported re-sale on a price-per-square-meter basis in this building to date, after a record low of 1,410,000 Yen/sqm on a re-sale in June. 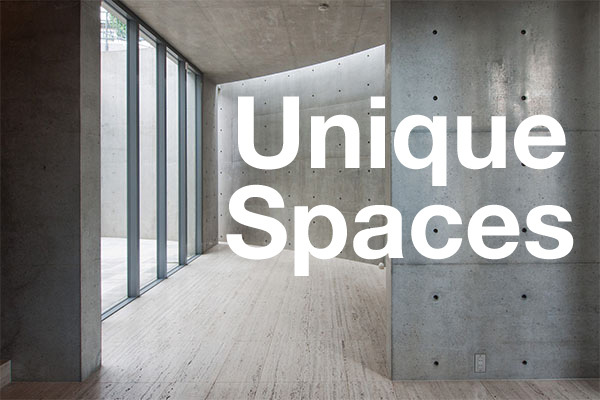 Krono Residence is located on a man-made island in Tokyo Bay. In 2016, the average resale price so far has been 990,000 Yen/sqm, up 2.1% from 2015 (970,000 Yen/sqm) and up 4.8% from 2014 (945,000 Yen/sqm). When new, apartments were priced at around 770,000 Yen/sqm by the developer. This apartment sold for approximately 2.7% less than an identical apartment on a lower floor sold for in late 2015. This apartment would have been priced at around 821,000 Yen/sqm when brand new, indicating an appreciation of around 23%. There were 27 apartments listed for sale in September, up from 24 listings in August. The average asking price was around 1,080,000 Yen/sqm. A two-tower complex containing 1,466 apartments located on a manmade island in Tokyo’s bayside area – an area scheduled to host Olympic events and the Athletes Village in 2020. Current asking prices in this building average 1,035,000 Yen/sqm. For apartments over 100 sqm, the average asking price is 1,175,000 Yen/sqm, and 970,000 Yen/sqm for apartments under 100 sqm in size. There were 41 apartments on the market for sale in September. So far, the average resale price in 2016 has been around 916,000 Yen/sqm, down 0.7% from 2015 (922,000 Yen/sqm), and down 2.4% from 2014 (939,000 Yen/sqm). This apartment was on a very high floor in the building. It sold for approximately 1.3% less than an identical apartment a few floors down sold for in March 2016. Exchange rate is at the time of publishing the article and is subject to change (1 USD: 101.34 Yen).